Many people know Disney World’s Animal Kingdom theme park is an expansive 580 acres of fascinating zoological wonders and thrilling rides. But Animal Kingdom is also home to some of Disney’s most interesting and delicious dining spots. With 7 Quick Service and 4 Table Service restaurants – and roughly 30 food stands and carts scattered around the park – there is certainly no shortage of dining options here. So how do you choose just one or two eateries with so many great options? 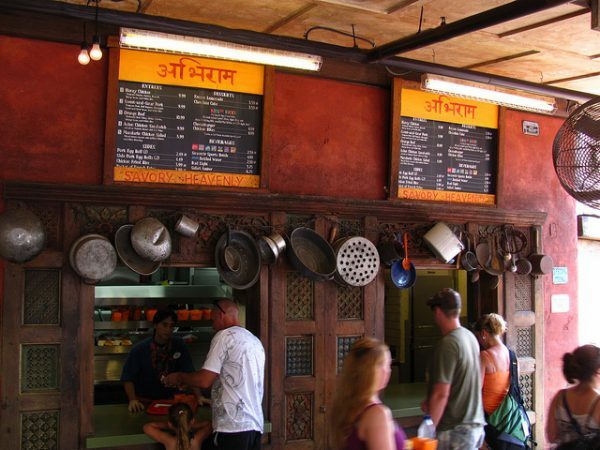 Here is our list of the best places to eat in Animal Kingdom to help you narrow down your search. Here are the seven Quick Service restaurants located throughout the park, along with a little insight about each one. If chicken and ribs sound like your idea of a satisfying lunch, head over to the Flame Tree Barbecue in Discovery Island. Located in the heart of Animal Kingdom, this fun and festive restaurant offers expansive (and shaded) outdoor seating under intricately carved wooden pavilions. You will be treated to a great view of the snow-capped peak of Exhibition Everett as you dine. Don’t be fooled by no-frills exterior; this restaurant serves amazing food and the seating area offers a quiet and relaxing spot to enjoy your meal away from the hustle and bustle. One of our favorite dining spots in all of Animal Kingdom! Recommendation: Baked Macaroni & Cheese with Pulled Pork, St. Louis Rib Dinner, Mixed Greens Salad with Roasted Chicken (and for vegetarians, try the Watermelon Salad). As you may have guessed, Pizzafari is a pizza lover’s dream. The menu features salads, pasta, desserts, and other goodies to make your stomach happy, but pizza rules supreme here. What makes this restaurant especially interesting is the 5 dining rooms, each filled with colorful murals and vibrant mosaics featuring different types of animals. Be sure to check out the Upside Down Room where all the animals are painted upside down…except one. Pizzafari is a crowd-pleasing restaurant because kids love the murals and just about everyone loves pizza! Pandora’s Satu’li Canteen features a wide array of international-inspired cuisine. Here you will find healthy dishes blended with tantalizing exotic spices, wholesome grains, and farm fresh vegetables. Unlike many of the Quick Service choices at Animal Kingdom, this dining locale will appeal to vegetarians and health-conscious eaters. The interior is adorned with Na’vi art and decor to creating an interesting and relaxing setting to enjoy your meal. There are plenty of options on the menu to keep the kids happy, as well. However, we think the older and adventurous crowd enjoy Sati’li Canteen the most. Recommendations: Combination Bowl: Grilled Beef & Chicken, Chili-Spiced Crispy Fried Tofu Bowl or the Cheeseburger Steamed Pods – Bao Buns. Located right near the standby for Rivers of Light, Restaurantosaurus provides a quick and tasty meal in DinoLand USA. This Dinosaur-themed cafe offers standard American fast-food like burgers, fries, hot dogs, and mac ‘n’ cheese. Tasty, but not for the health-conscious. Prices are in-line with similar Disney World restaurants (burgers are in the $10-$15 range), so a tab bit pricey for what you get. However, kids especially love Restauantosaurus and the fact that each kids’ meals are served with a sand pail and shovel only heightens the appeal. Overall, a good spot for kids or a quick burger, but nothing overly memorable for the adults. Recommendations: Go healthy with the Black Bean Burger or indulge with a Bacon Cheeseburger Combo (served with fries, drink, and warm caramel chocolate brownie (!)). Tami Tamu is a must-go-to Quick Service eatery located in the Harambe Village of Animal Kingdom’s Africa section. Just don’t expect to find lunch entrees. Here you will find a walk-up window serving a desserts-only menu of exotic icy treats. Cool off with the decadent Malva Cake Sundae topped with vanilla ice cream and caramel sauce or try the wildly popular Pineapple DOLE WHIP® Cup with fruit on the bottom and soft service vanilla ice cream on the top. Yum! There are also several sweet frosty drinks and alcoholic concoctions for adults. Recommendations: Pineapple DOLE WHIP® Cup, Malva Cake Sundae, or the African Coffee with Amarula Cream Liqueur. If you are looking for a unique (but quick) dining experience, look no further than Harambe Market. You won’t find burgers and fries here. Instead, you will find tender meats infused with exotic spices and interesting ethnic cuisine at this kitschy, African-inspired eatery. The restaurant is comprised of 4 food stalls/shacks for ordering and an open-air plaza for feasting. This is street food done the Animal Kingdom way. Note that there are a few vegetarian options, but this is a meat-centric dining spot for sure. Harambe also offers plenty of alcoholic beverage choices for adults and refreshing fruity drinks for the kids (and adults). Recommendations: Try the African Spiced Ribs w/ Barbecue Glaze with Green Papaya Slaw and Black-Eyed Pea Salad or the tender Grilled Chicken Skewer. After your long Himalayan trek through Animal Kingdom, the idea of refueling with some delicious Asian-inspired cuisine may sound like the perfect reward. If that’s the case, look no further than Yak & Yeti Local Foods Cafe. This popular spot is a great choice for any time of the day – breakfast, lunch, or dinner. The breakfast menu serves classic American items like sausage and egg English muffins and breakfast burritos, while the lunch/dinner menu leans more towards Asian with egg rolls, teriyaki beef bowls, fried rice, and Ginger Chicken Salad. Everything we tried here was delicious and the prices are very reasonable. A must! Note: Like all Walt Disney World theme parks, Animal Kingdom has a wide assortment of snack stands and food carts – offer snacks and beverages – throughout the park. While the food at Quick Service and Table Service restaurants is much better, you may just want a very quick bite to eat before heading back on the rides. In this case, these types of snack stands and food carts may be sufficient. Rainforest Cafe is a popular jungle-themed restaurant chain with over a dozen locations throughout the US. 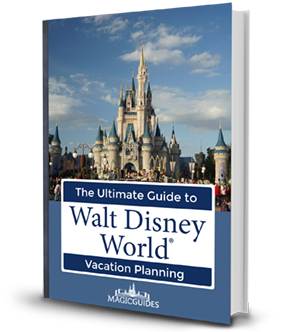 Disney World is home to two of these locations – one in Disney Springs and one Animal Kingdom, right next to the main entrance to the theme park. Inside the restaurant you will find a lush tropical seating area, teaming with animated animals, simulated rain, colorful fish, and a psychedelic Magic Mushroom Bar. The menu is a crowd-pleaser with tons of choices to satisfy discriminating stomachs. This particular location serves breakfast, lunch, and dinner, so it may be a good place to head to before entering the park in the morning or as you exit the park in the late afternoon. The breakfast menu offers standard breakfast items with a twist, while lunch and dinner items include such favorites as flatbreads, tuna tacos, burgers, steaks, seafood, and the list goes on. Because the menu is so diverse and non-offensive, Rainforest Cafe is a good choice for families and large groups who want great food and fun ambiance. As a Table Service restaurant, prices are steeper than Quick Service eateries. Expect to pay $17 for a burger and up to $32 for the surf and turf combo plate. Recommendations: Try the Jungle Turkey Wrap, Flat Iron Steak, and Honey-Sriracha Salmon. Not to be confused with The Yak & Yeti Local Foods Cafe, Yak & Yeti is a full Table Service restaurant right at the base of Exhibition Everest (ranked #1 attraction on our Best Animal Kingdom Rides page). It serves a wide array of pan-Asian delights for the lunch and dinner crowd, including small plates, shareables, soups, salads, sides, noodle bowls, wok, grilled entrees, specialties, and desserts. They also offer an extensive kid’s menu, some vegetarian offerings, and a large assortment of alcoholic and non-alcoholic drinks. Yak & Yeti is decorated with an eclectic assortment of Southeast Asian artifacts which creates an exotic and interesting dining experience. But the food here is the highlight; if you love Asian food and want a relaxed atmosphere to enjoy your meal, Yak & Yeti fits the bill. As far as cost goes, it really depends on how many extras you order. If you just stick with entrees, they will run you in the $20 range, but costs can really add up if you include sides orders. Use you Table Service dining credits here and get the best bang for your buck. Recommendations: Try the healthy Kale Caesar Salad with Cilantro-Lime Seared Shrimp or splurge on the marinated Teriyaki Chicken served on pineapple-onion-pepper skewers. coconut-ginger rice, and stir fry veggies. At this vibrant Harambe marketplace eatery, you’ll discover a bounty of African flavors served buffet-style. Each of the 4 dining rooms features unique African-inspired themes with decorations and furnishings to match their theme while the buffet area is themed as an outdoor African marketplace. Some of the exotic dishes you will find here include the peri-peri marinated baked salmon, flavorful chicken curry, and stewed African vegetables. To add an extra element of Disney magic to this eatery, Safari Donald Duck and his safari dressed companions greet Tusker House guests. This unique Character Dining experience happens all throughout the day —from breakfast and lunch and throughout the family-style dinner buffet. Bring your camera and take some pictures with Safari Mickey and Minnie! This table service restaurant definitely has appeal for all age groups and taste pallets. However, it is more on the healthy and exotic end of the spectrum. Recommendations: Breakfast – Mickey Waffles and Seasonal Fruit, Lunch/Dinner – Spit-roasted Chicken and Strawberry Cake. Opening in 2016, Tiffins is the newest Table Service restaurant in Animal Kingdom. It is considered a Signature Dining experience, which means that it will cost you two Table Service credits (or a lot of money out-of-pocket). In case you are wondering, “Tiffin” is the Indian/English word for a midday meal, so its fitting this establishment is a lunch and dinner spot only. Tiffins is well regarded for its interesting cuisine inspired by the African, Asian, and South American regions of the world. There are three dining rooms, each adorned with beautiful artwork. Guests are encouraged to walk around and view the displays to learn about what inspired Disney to open Animal Kingdom in the first place. As for the food, appetizers include exotic dishes like Charred Octopus and Asparagus-Leek Soup, while main courses include Grilled Swordfish, Berbere Spice-rubbed Venison, and Pomegranate-lacquered Chicken. As you can see, this isn’t a burger and fries type of place! The kid’s menu has pastas, chicken, and a few other mainstream offerings, and the dessert menu is also rather standard. But – by in large – this restaurant will appeal to adventurous eaters who want a fine dining experience at Animal Kingdom. Recommendations: Snake River Farms Wagyu Eye of Rib-Eye (pricey) or the Pomegranate-lacquered Chicken. Thanks for reading our Best Places to Eat in Animal Kingdom page! You may also want to check out our Best Places to Eat in Epcot, Best Places to Eat in Hollywood Studios, and Best Places to Eat in Magic Kingdom pages.